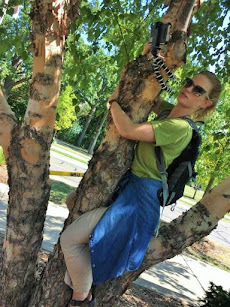 This one is worth blogging over. 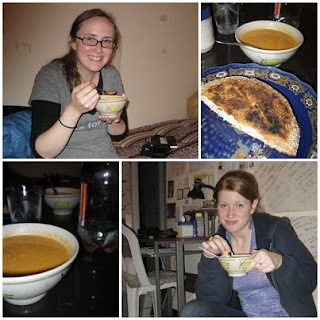 Jolie was in town and I had the idea to try one of the soup recipes in our Peace Corps Morocco cookbook. We decided on creamy tomato. I've never made tomato soup from scratch before and it was surprisingly easy. It's the first time I've had tomato soup in nearly 19 months and boy did it hit the spot. And to top it all off we paired the tomato soup with grilled cheese sandwiches. Perfect for dipping.